When you think about director’s who might take on a remake a Clint Eastwood film, I’m willing to bet that you don’t think “Sofia Coppola.” But Coppola is indeed taking on a remake of The Beguiled, formerly a 1971 film starring Eastwood as a wounded Union soldier who finds refuge at a Southern girls’ school and causes havoc with the imaginations and libidos of the young women there. Today we’re getting reports that Colin Farrell is in talks to take on the Eastwood role in Coppola’s retelling of the story. Based on Thomas P. Cullinan’s Southern Gothic novel, Coppola’s film has been rumored since earlier this spring. Actresses including Nicole Kidman, Kirsten Dunst, and Elle Fanning have already been slated to star. Colin Farrell, should he ultimately sign on, would complete the picture, meaning that the remake would almost certainly go ahead as planned. This has the potential to be quite a movie. The original was directed by Don Siegel, and Coppola would bring an intriguing gaze to what’s already a female-centric narrative. I don’t know about Farrell, though. After all, Eastwood was already a major name in Westerns by 1971, and his part as the object of desire of a group of girls also carried a certain degree of irony. 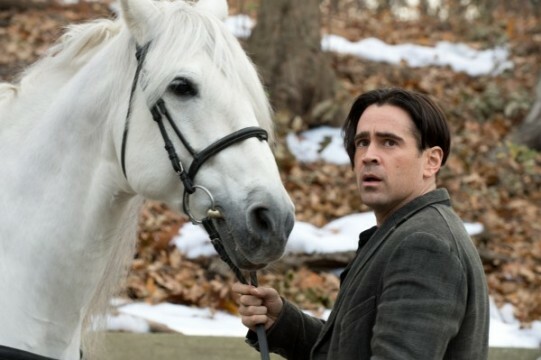 Colin Farrell just doesn’t bring the same thing to the table, no matter how charmingly Irish we might think him. Nevertheless, it will be interesting to see what Coppola makes of the story with this cast. There’s no official start date for The Beguiled just yet, nor has the cast been officially verified. But presuming that there are no hang-ups and things go ahead with this cast, we can expect to see The Beguiled coming to theaters at some point in 2017. So, let’s cross our fingers and hope for the best.